Renowned sports site & channel founded in 1979. Known for sportscenter personalities & authority in the field. For over 60 years, Sports Illustrated has been a paragon of sports publications, bringing news, highlights, and analysis on a variety of sports. Nearly 13 milllion sports fans get together to share news, gossips, and rumors. The Polocrosse World Cup is on this week in Warwick, Australia! Take a look at highlights from day 4, of the games between UK vs South Africa and Australia vs Zambia. A couple of 45 year old lures I found in dad's tackle box. NBA Celtic legend John Havlicek passed away this evening. He was 79. Three professional Japanese footballers (soccer players) play against one hundred children. 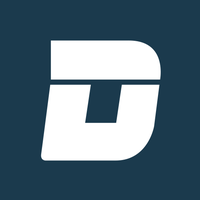 Combines current scores, sports news, and a fantasy sports hub. Offers analysis on the latest sports developments. Its wide range of sports coverage sets SB Nation apart, including sections for USB, soccer, and college sports.